Welcome to another financial literacy installment at CCM blog! Today's post is on ways to save on rent. Rents are currently at some of the highest levels we've ever witnessed. In fact, since the year 2000, rents have grown at roughly twice the rate of wages. A renter can expect to pay about 30% of their income on the median apartment nationwide. 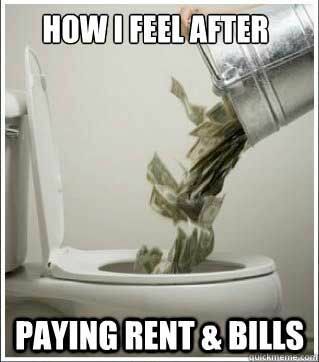 In some areas, like San Francisco, New York City, and Boston, renting is dangerous to your health...talk about the stress brought on by seeing so much of your money being swallowed-up on the rent. So how do you go about saving on rent in a seemingly unfavorable (for renters) rental market? I've had the experience of renting apartments, and a 3 bedroom, 2 bath home. I've also had the experience of renting rooms in my personal residence. The following tips are a compilation of tricks of the trade, so to speak, and should help YOU save on rent. 1. If you're an All-Star renter, meaning, you got great credit, awesome references from past landlords, bank statements showing fiscal responsibility in your Checking account, and emergency savings in a Savings or Brokerage account, you should negotiate on the rent. Reliable renters are a landlord's best friend, and many, like I used to, would be willing to lower the monthly rent amount for the peace of mind of renting to a person like you. Throw in a longer lease commitment or several months worth of rent upfront, and the deal becomes juicy for a landlord. How much can you save? If I were an All-Star renter, I'd ask for $70 off the top per month, and wait for a counter offer from the landlord. 2. Move in the winter or early spring. There may be fewer places available to rent during these seasons because people hunker down when it's cold. However, the slowdown works in your favor as landlords with vacancies are desperate to get someone else to pay their bank notes. Don't waste the opportunity to negotiate if you are looking for a place during the winter and early spring! 3. When I rented a 3 bedroom, 2 bath home back in 2002, I negotiated $50 off the monthly rent by agreeing to take care of the grounds for the landlord. He got me a lawnmower even! In addition to mowing the lawn, I'd prune the fruit trees, rake leaves, and do what any homeowner would do to keep the lot looking tidy. 4. If you're renting a room, you have many options for saving on your monthly rent. I rented a room to a personal trainer once and he had a full gym sitting in storage. I let him use one-third of my garage to set-up his equipment, and gave him $20 off his rent for full access. I saved on a gym membership, and paying for gas driving to and from a gym. Think...what are some tangibles (use of your Xbox, gym equipment, bicycle, etc.) you can offer your landlord in return for less rent? 5. Again, if you rent a room, you may be able to reduce your rent by giving your landlord/housemate options. Say you have Sling TV, HBO Go, Netflix or other streaming services. 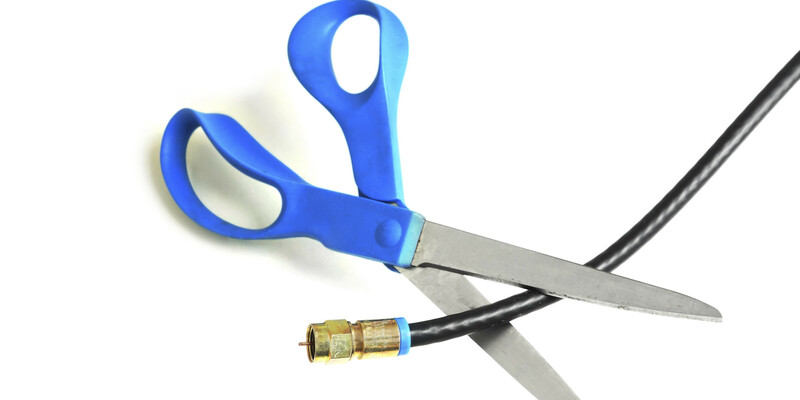 You can explain to your landlord/housemate that he/she can save money by cutting the cord, and use your subscription for the whole house instead. It is not illegal for you to share your Netflix password. There is a simultaneous viewing limit though...between two and four users at a time for Netflix, three for HBO Go, one for Hulu Plus, and no limit for Watch ESPN. Who knows, your landlord/housemate may be willing to reduce your rent if he/she can stop paying so much to provide you with cable. Unfortunately, apartment dwellers are often dealing with a management company that won't budge, and that know nothing else but raising the rent each year. Don't be a number on the front door! Try to find a rental situation where you can deal with the owner and personalize the rental relationship. Before you leave, it would be an honor to have you join my growing list of followers. Subscribe to this blog and get posts like these sent to your inbox 2-3 times a week. Thanks, have a great Labor Day, and until next time!